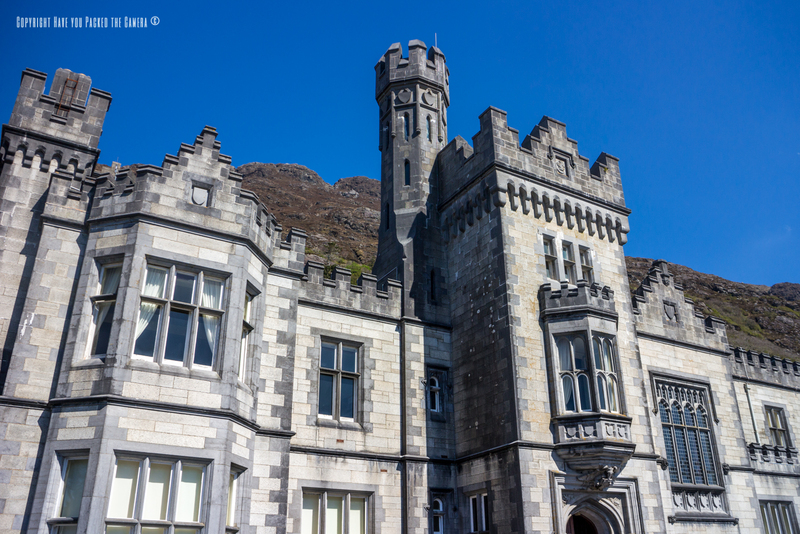 Intro - As part of my Republic of Ireland West coast road trip I stayed a night in the charming town of Letterfrack and visited the historic Kylemore Abbey and Walled Gardens; I had not heard of this wonderful place before until one of my fellow travel bloggers recommended it to me. For anyone visiting the Galway area I would strongly recommend a visit – It is a beautiful place and you could easily spend a day there. 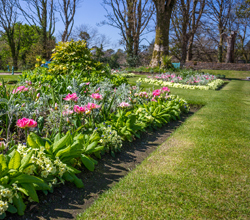 Tickets/General Info - Ticket prices for the Abbey and grounds are €11.70 for adults and that includes entry to the grounds, Abbey, Gardens and Church (basically everything). There is a dedicated car park with plenty of spaces and also a restaurant and gift shop. 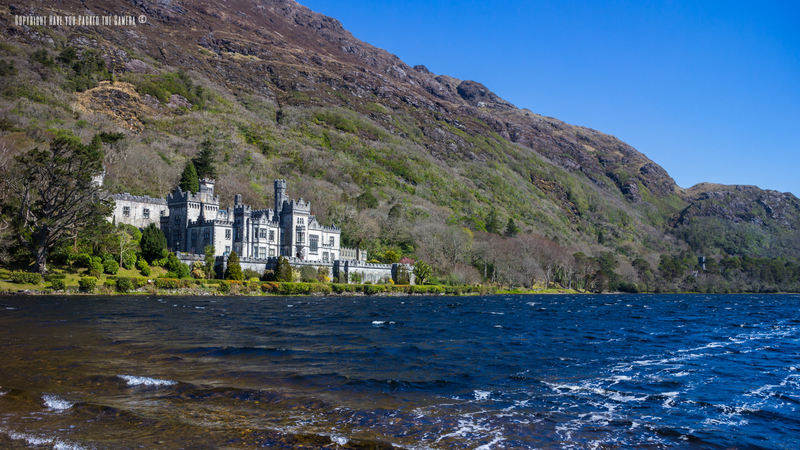 History - Kylemore Abbey was constructed by Mitchell Henry and originally used as his private home until he moved back to England and sold the estate. In 1920 the Irish Benedictine nuns purchased the estate after fleeing from Ypres in Belgium during World War 1, they continued to use it as a school for catholic girls until 2010. 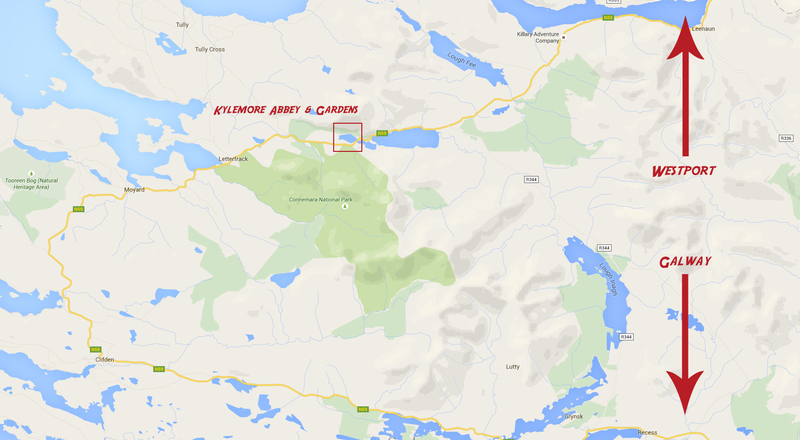 Kylemore Abbey and grounds are located in Connemara, County Galway in the Republic (Southern) of Ireland. The actual Abbey is just off of the N59 which is a major road that stretches from Westport down to Galway and makes up part of the Wild Atlantic way and is around 3km from Letterfrack. 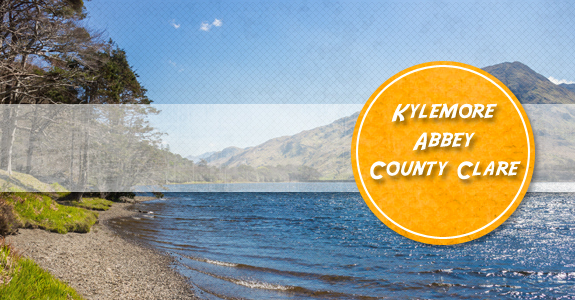 The drive is really pleasant and there is some stunning scenery on the way; I based myself in Letterfrack whilst visiting Kylemore Abbey, and I think this would be a good place to stay if you also wanted to visit Connemara National Park and climb Croagh Patrick. 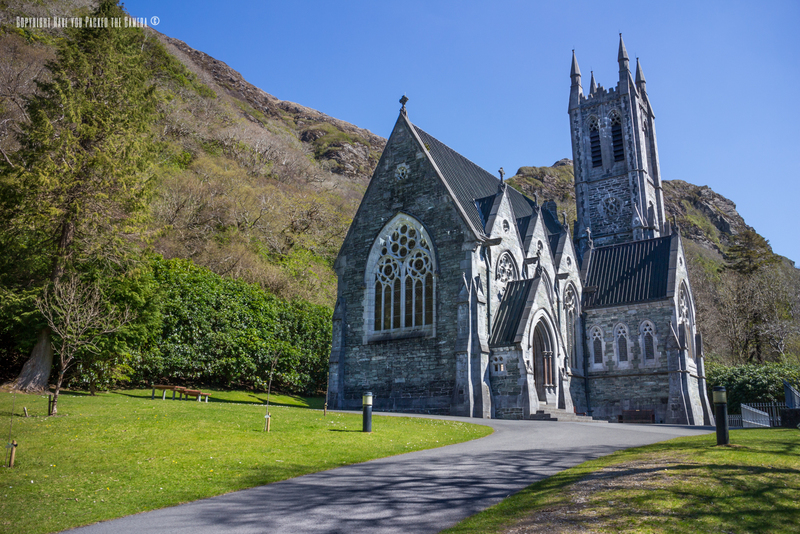 Setting - The setting of Kylemore Abbey is perfect and really gives some great photo opportunities. Sprawling out in front of the Abbey is a large lake, surrounded by trees, whilst behind the Abbey rears up a range of tall mountains covered in greenery. I really enjoyed trying to capture Abbey and create some beautiful photos. 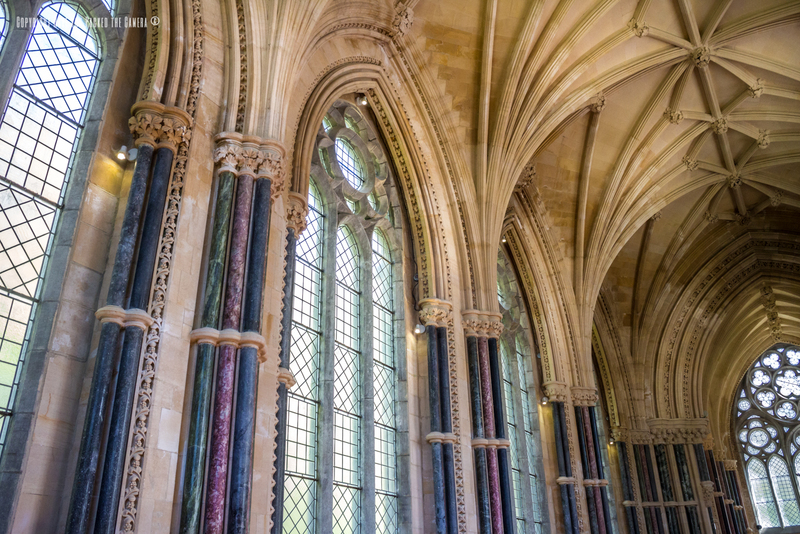 Building - The abbey façade is made from grey Granite and Limestone and I was really fascinated by the colour and design, it looked quite cold and austere but beautiful at the same time. 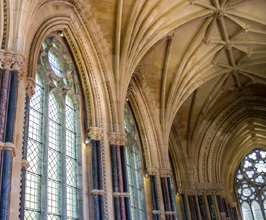 The interior of the Abbey is open for viewing and has been restored to what it would have been like during its early years, there is also a room dedicated to the history of the Benedictine Nuns and their plight in Belgium during the wars. 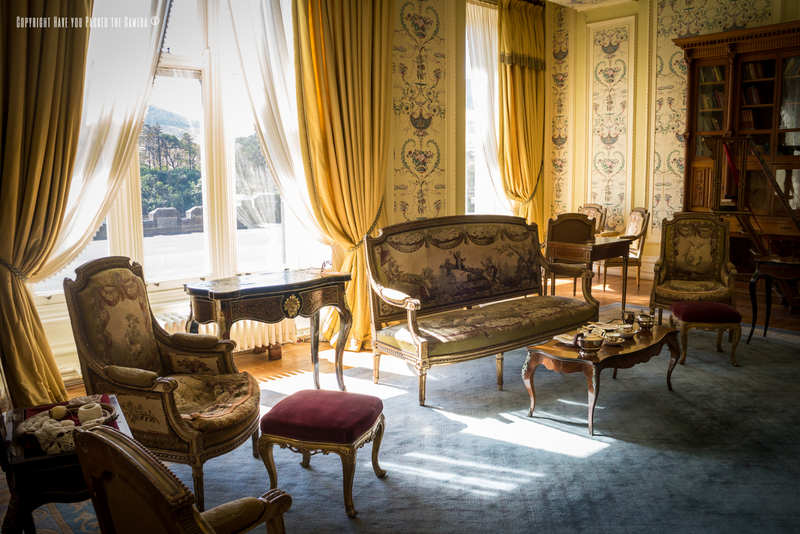 The rooms have great detail and I took some lovely artistic shots of the furniture and fittings. 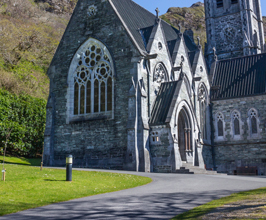 Another surprise to Kylemore was the Gothic Church – I had not read up much about the abbey and grounds beforehand so I didn't realise that there was much more to see. The Gothic Church was constructed to commemorate Mitchell henry's late wife Margaret who died during a holiday in Egypt. It is constructed using the same style of material as the Abbey and I really liked the cold grey colours – The building looked so different from any other style of church I have seen before. The interior was quite stunning, not overly garish or too much, but quite understated and the windows allowed plenty of natural light to shine through. 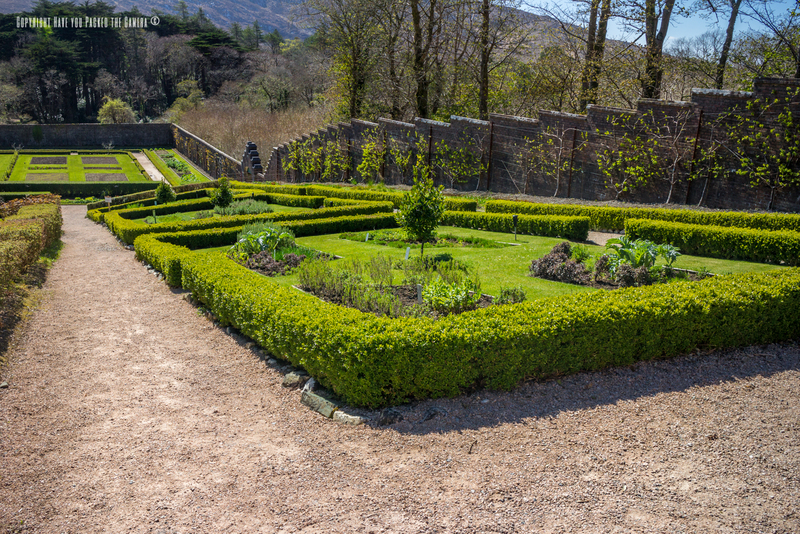 The Victorian walled gardens at Kylemore Abbey were really beautiful and pleasant to walk through. 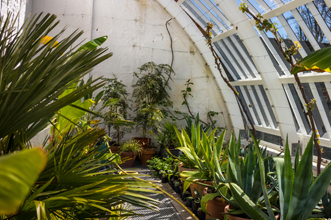 Since the 1970's the gardens have been open to the public, and have been restored to a high standard. 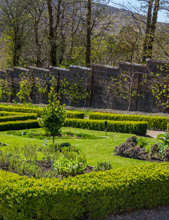 As expected the gardens are enclosed by a lovely stone wall, accessible by periodic doorways, there is a slight slope to the land however so expect some strenuous walking. 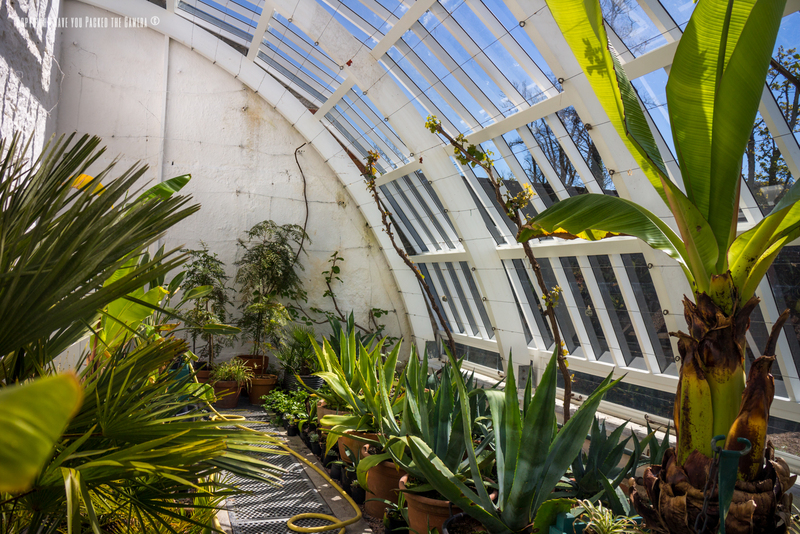 There were various different sections such as an herb garden, some greenhouses, and also a restored version of the head gardeners house – This was really interesting to look through, especially with all the period features and household items. 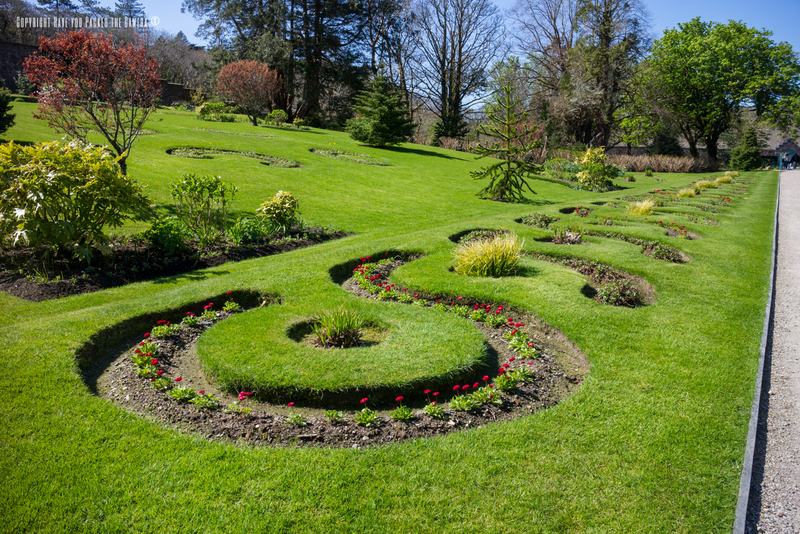 I visited Kylemore Abbey in April and I do not think that the gardens were fully in bloom therefore I was not totally wowed by the flower displays etc. 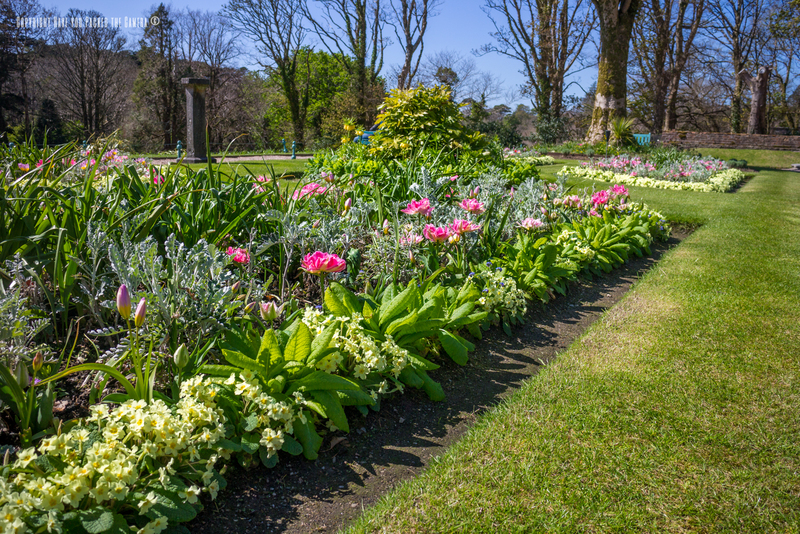 There were some flowers starting to appear and plenty of greenery, however I think that had I visited maybe a month or so later (I'm no gardening expert) the displays would have been much more vibrant and colourful, and the flowers would have been in full bloom. 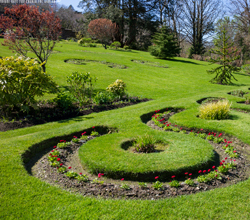 This was just down to timing and it did not spoil my visit at all – The gardens were still extremely beautiful and I really enjoyed walking through them at my own leisure.